For all the bookworms and enthusiasts out there, Barnes & Noble provides customers with discounted bestsellers, a cafe, and a cozy place to spend your time. Barnes & Nobles has a little something for everyone; from kids to adults and even college text books, Barnes & Nobles is a great place to expand your horizons and flex your imagination. 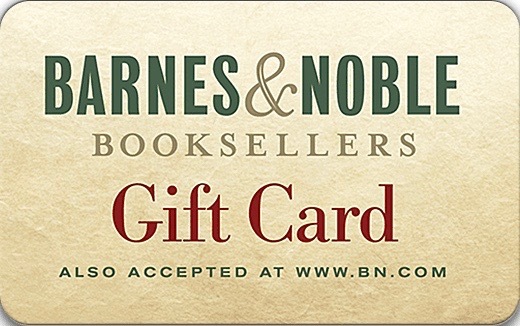 Barnes & Noble Gift Cards can be used at any of the normal bookstores or at the college bookstore locations as well. Shopping Tips: Barnes & Noble Gift Cards can be used at any of the normal bookstores or at the college bookstore locations as well. Below is a listing of our favorite places to buy Barnes & Noble gift cards. There are always great deals and discount available when buying these so check back often. We will keep this list updated to reflect the best rates when possible. Barnes & Noble provides customers with printed and online content, music and videos, and educational products. This bookstore is the largest book retailer in the United States with a variety of genres to choose from. It is a warm & fun place that entices reading. Most locations have a Starbucks in house as well. Read more on Gift Cards Discount Rates.